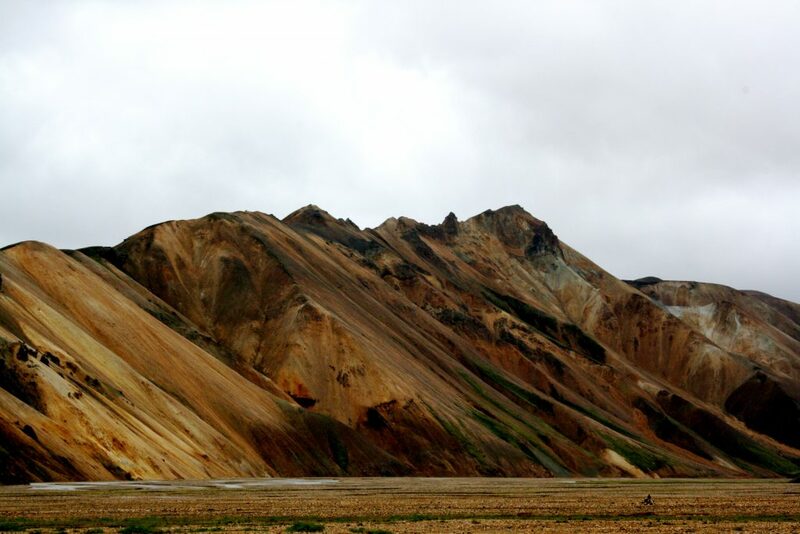 Landmannalaugar is renowned for its rhyolite mountains (in vivid hues of orange, creams and fawns), natural hot springs, and its remote rugged landscape, located in one of the largest geothermal areas in Iceland. The area sits on top of the Mid Atlantic Ridge, on the Eastern Volcanic Zone. We drive through unforgettable landscapes with surreal beauty, steaming hot springs, snow and ice covered peaks, glaciers, explosive craters and an amazing range of colours, on some of Iceland’s most spectacular jeep tracks. View the majestic Hekla stratovolcano, Iceland’s most active volcano with over 20 eruptions since 874. You’ll drive through glacial rivers that cut through the moon-like lava fields for an unforgettable melding of the elements. 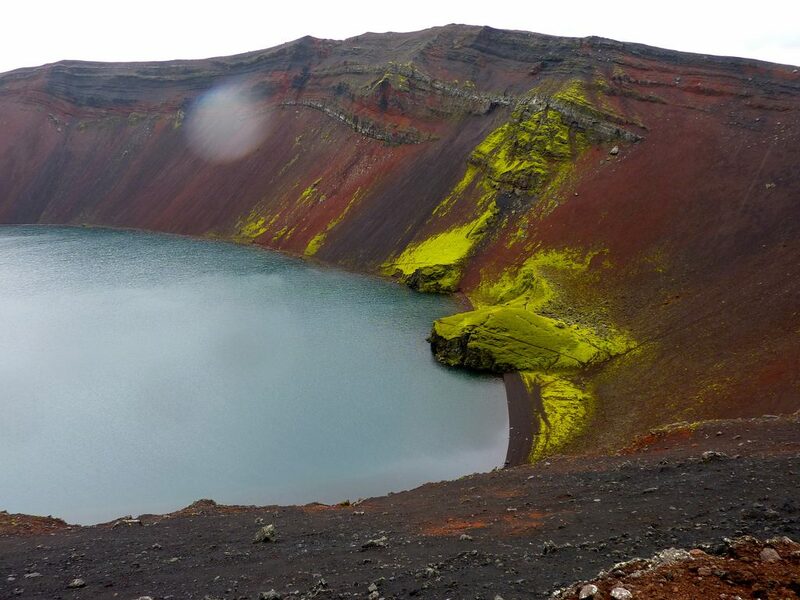 We will stop at the crater lake Ljotipollur a cobalt blue lake formed in 1477. 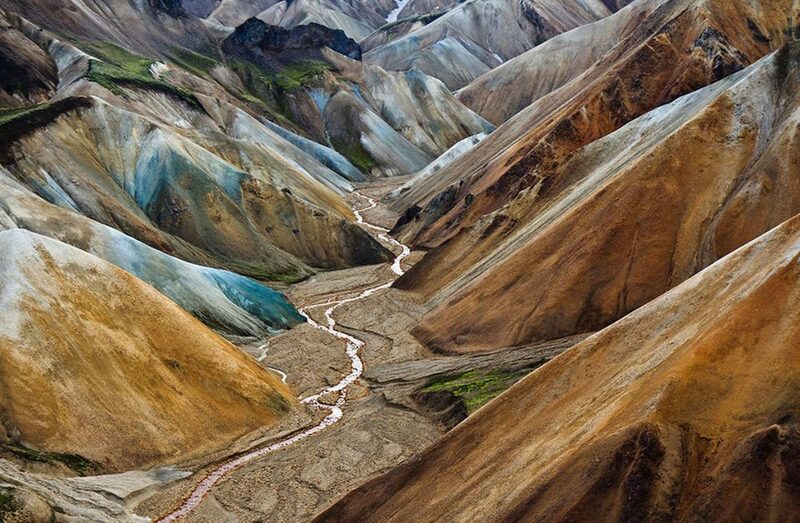 Finish the day with a visit to Landmannalaugar with its colorful rhyolite mountains. Here you will have a chance to enjoy a packed lunch or a short hike in the beautiful scenery. After that enjoy a warm, relaxing bath in a natural hot pool (remember to bring your swimsuit and towel) before heading back to Reykjavik through the Domadalur lava field route.